Horses are social by nature and our two minis are extremely attached – they call to each other if they are ever separated. They descend from the same ancestors as standard horses, the wild horse (Tarpan). 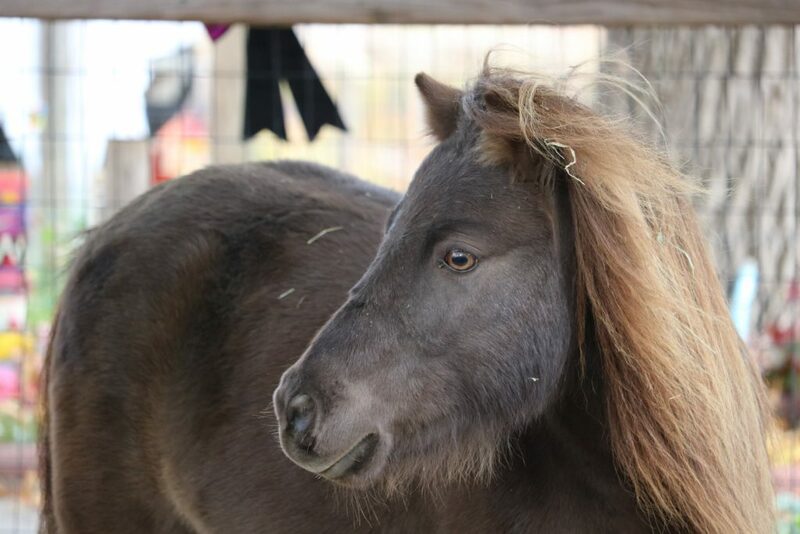 Because of their high intelligence, small stature and long life spans (30 years), miniature horses have recently been incorporated in programs for leading the blind. Horses can turn their ears independently to capture sounds from all angles (and determine if predators are in the area). Their ears are specially shaped like a funnel to direct sounds where they can be interpreted best. 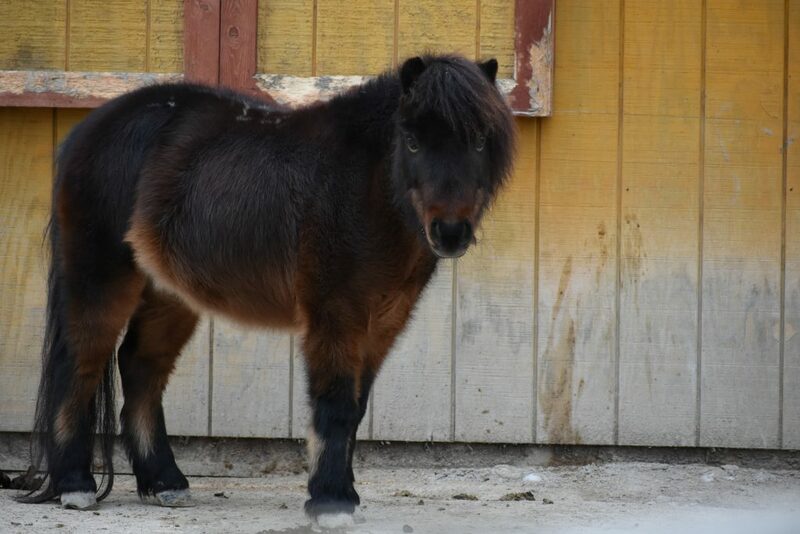 Miniature horses cannot support much weight for a rider, but can pull more than two times their weight!